1. Girl Geeks – Yes, obviously I’m slightly biased, but as a girl geek myself one thing that I always find annoying is that any tech event I attend I find I am in the vast minority, with male attendees making up 80-90% (if not more) of the group. What Manchester Girl Geeks have done, is to create an event which encourages women to attend, but without alienating prospective male attendees. By being organised by women the event immediately appeals to all girl geeks who feel that they want to represent their gender in male dominated fields such as technology and science, inspired by the women who have the courage to provide this outlet, and thrive in their respective fields of expertise. Yet I find that this event still maintains a healthy balance, with a good number of male attendees, I would estimate the attendance figures to not have been too overpowered by women. Some of the talks may have touched on the subject of feminism and gender issues in technology, but overall the talks were along similar lines to other tech events I have attended. 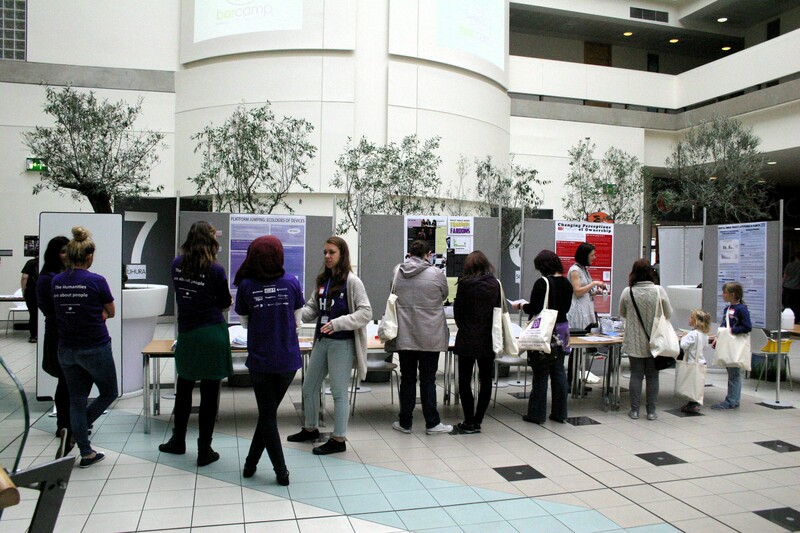 This is a barcamp organised by women, aimed at women, about technology, science, maths, and anything else geeky and fun. All in all, even if you ignore the fact that this event was organised by women, it was a good solid geek conference, which is exactly what I wanted. 2. Organisation – I can’t imagine how difficult it must be to organise and unorganised conference, but these girls did it wonderfully! Everything was on point, from follow ups to ticket requests to ensure attendance was high, to excellent directions to the venue (you would be amazed how excited I got that someone actually bothered to put a sign on the main road with an arrow pointing to the correct building), handy maps of the venue layout, good time management, wonderful food, and not to forget TONS of amazing SWAG. 3. 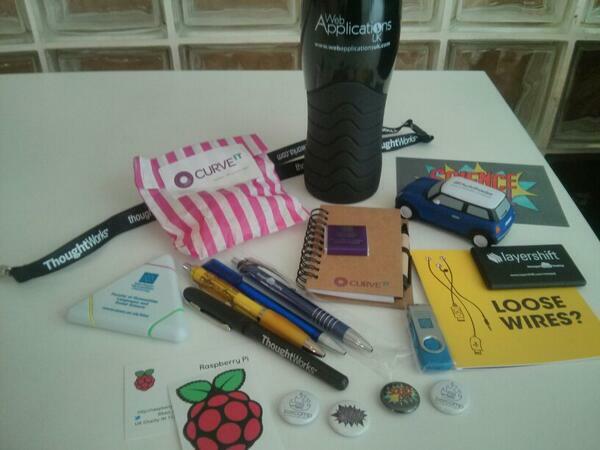 SWAG – T-Shirt, mugs, stickers, sweets, badges, pens galore. What more do you want? 4. The Talks – The big unknown in an un-conference is whether or not the talks will be any good. Usually first thing in the morning there isn’t a lot to go on, people haven’t yet plucked up the courage to add their talk to the board, and things usually look like they’re off to a slow start. Give it half an hour and the board was already almost full. Having a dedicated track for talks from the University I felt was genius, and the variety of subjects covered was brilliant, ranging from technical talks to social discussions, I always love an event that manages to cover a good range of subjects, and this one nailed it. 7. It’s FREE! – I think one final thing to mention is that we take for granted the amount of work and effort that goes into creating one of these events for us. We are given a free to ticket to an amazing day, and it’s all thanks to those few people who put their time and effort in, and the amazing sponsorship they receive from companies who believe in what they’re doing. 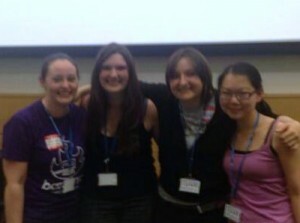 I thoroughly enjoyed the 2014 Manchester Girl Geeks BarCamp, and I can’t wait for the next one! The Manchester Girl Geeks also have monthly socials and other events around the year. For more information please check out the Manchester Girl Geeks website, or follow them on Twitter.